When a mass suicide by a branch of the Church of Hala claims the lives of 20 families, Carol Danvers investigates the tragedy performed in the name of Mar-Vell - putting her directly in the path of his would-be Captain Marvel replacement, Noh-Varr! Speaking of replacements, Norman Osborn’s Dark Reign calls for a new Ms. Marvel: the villainous Moonstone, Karla Sofen! As Karla forcefully takes the mantle, she has to deal with Deadpool - and the New Avengers coming at her full force! 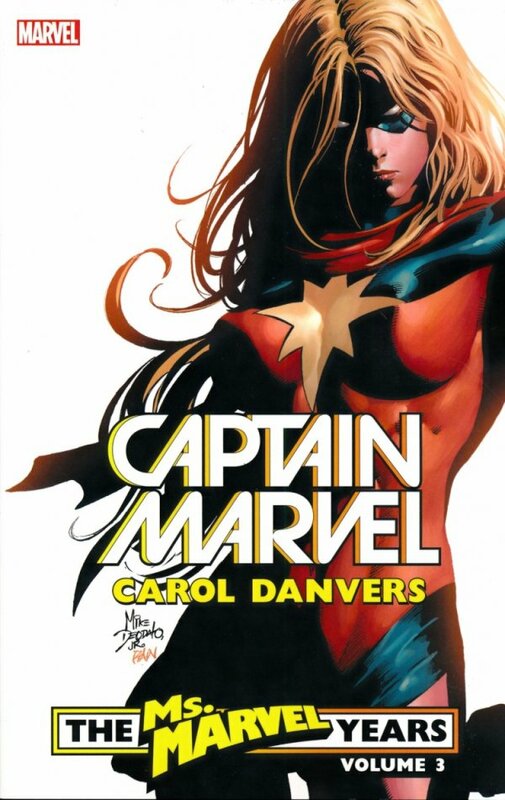 But as a War of the Marvels begins, can Carol reclaim her good name...and her life?! Plus, the Storyteller returns! Carol goes on a date with Spider-Man? And a series-ending showdown against one of her oldest and most vicious foes - Mystique! Collecting MS. MARVEL (2006) #35-50, MS. MARVEL SPECIAL: STORYTELLER and SIEGE: SPIDER-MAN.